Horse Property!! 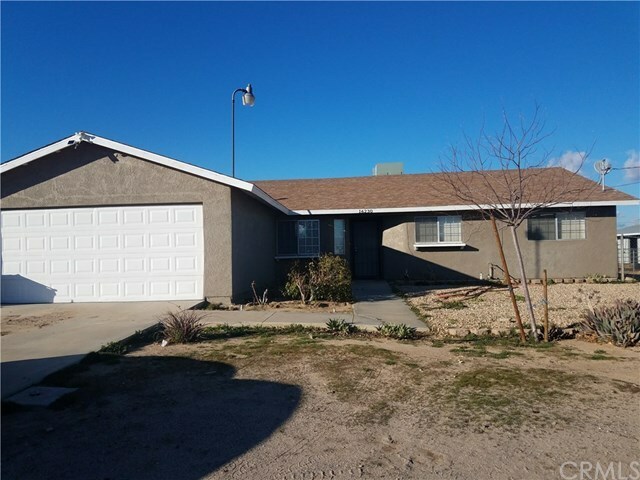 Great Home for First Time Buyers.Â 3 Bedroom, 2 bath Hesperia home!!! Bedrooms are carpet.Â Ceiling fans in bedrooms. Kitchen has tile floors. Nice covered patio in back yard. Huge lot, room for RV, great neighborhood, and quiet street. Close to shopping Restaurants and 15 freeway. Don't miss out on this Great Opportunity!! Directions: Close to Bear Valley Rd, between Seventh Ave and 3rd Ave.